During January alumni gatherings occurred both in Tasmania and beyond. 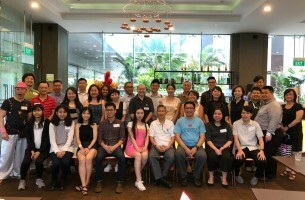 An alumni social event occurred in Singapore to celebrate the New Year and share stories of their time at the University of Tasmania. Event sponsor and host Richard Ngo said it was a great opportunity for alumni from a broad range of graduating years, along with an extensive mix of colleges and faculties to come together. “These included AMC, Architecture, Business, Computer Science, Engineering, IMAS, Information Systems, Law and Science. 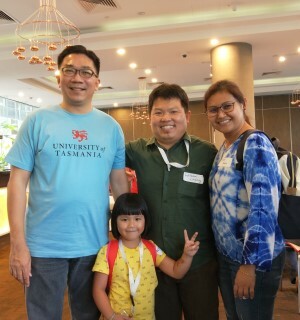 Alumni were able to re-connect with old friends and meet new friends while enjoying a delicious high tea,” he said. 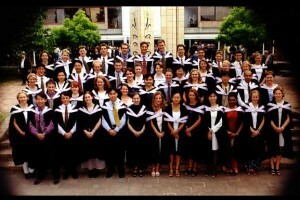 In Hobart, the Bachelor of Medicine, Bachelor of Surgery (MBBS) graduating class of 1988 also hosted an event. Alumni and host Jarrad Wilson said the event was a great success. 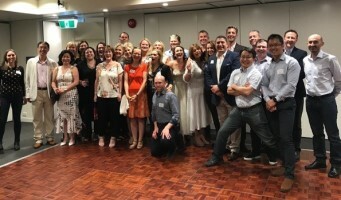 The University of Tasmania’s Associate Director - Alumni and Events, Janine Arnold said the events were an opportunity for alumni to reconnect and make new friends. “Our alumni events are aimed at keeping our domestic and international alumni community engaged, informed and connected while living in various locations across the globe,” she said. To keep up to date with alumni news, please visit our Facebook and Linkedin.